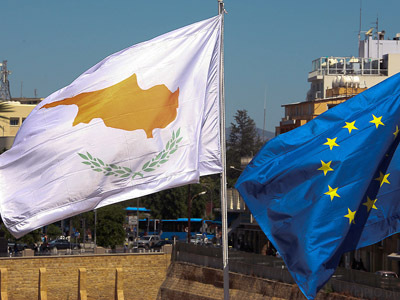 EU ministers and the IMF have hammered out a bailout agreement with Cyprus, EU officials said. 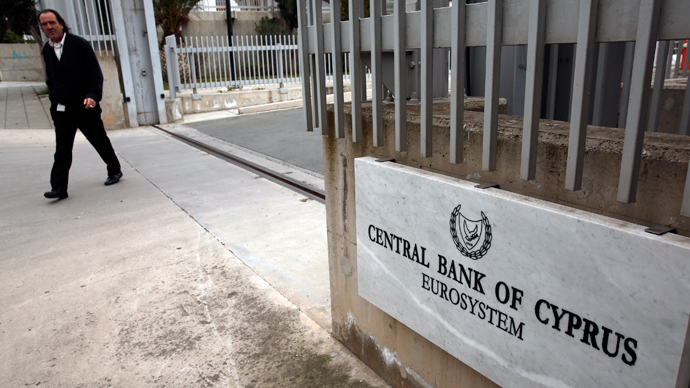 The pact includes a one-time tax of 9.9 percent on Cypriot bank deposits that exceed 100,000 euros, as well as a tax of 6.75 percent on smaller deposits. After 10 hours of talks on Saturday, representatives from the eurozone, the IMF and the European Central Bank agreed to a $13-billion (10 billion euros) bailout package for Cyprus to save the country from bankruptcy. Cyprus has been struggling to repay its debt following its exposure to the recent Greek financial crisis. The main source of contention in the months-long negotiations was whether to make depositors pay a levy on their holdings in Cypriot banks. 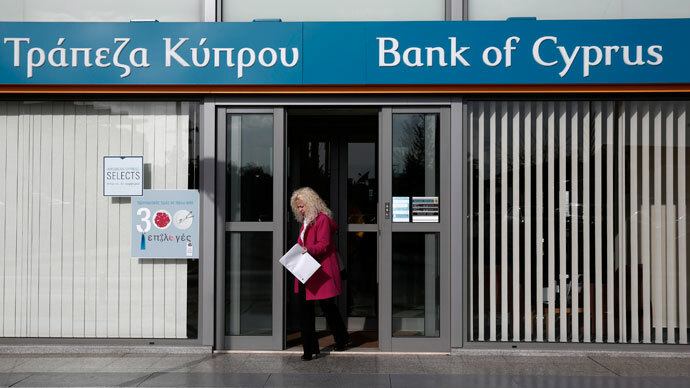 Cyprus is concerned that the plan to offset the cost of the bailout will prompt a massive withdrawal among bank clients, who have grown accustomed to generous conditions on their savings on the island. Speaking after the meeting, Cypriot Finance Minister Michalis Sarris expressed reservations over the bailout, saying: "I wish I was not the minister to do this." However, "Much more money could have been lost in a bankruptcy of the banking system or indeed of the country," he added. IMF chief Christine Lagarde said the bailout package for Cyprus is "sustainable for the Cyprus economy." Nicosia is now working to ensure that the new conditions on bank depositors do not trigger capital flight from the country. Jeroen Dijsselbloem, president of the Euro Group, declined to rule out that a similar tax scheme was being planned for depositors in other countries besides Cyprus, but he emphasized that such a plan was not being considered at the present time, the New York Times reported. Cypriots are already angry as they face the result of the EU’s agreement on a bailout that will affect everyone with accounts. "I earned this money, and now it is taken to cover for some mistakes that are not my fault," AFP quotes a man, who wanted to withdraw whatever cash he could in a bid to reduce the amount he will have to pay. The levy will apply to everyone from pensioners to Russian oligarchs and tens of thousands of expats living on the holiday island. "I have already lost my job, and now I'm being taxed on the little I get from social insurance, which is not enough to support a family. I am surprised that people are not demonstrating as in Greece," said another man. Meanwhile, analysts are speculating that Russia, which represents a sizable number of depositors in Cypriot banks, could provide further assistance in the bailout by possibly easing conditions on a 2.5-billion-euro loan that Moscow made to Nicosia in 2011. The loan was granted for three years, at a below-market rate of 4.5 percent. The Cypriot finance minister is reportedly scheduled to travel to Moscow on Monday for meetings. Russian citizens are believed to have around 18.3 billion US dollars in their deposits in Cyprus. The levy could cost them two up to two billion. “This seems to be a way of spreading the pain,” he added. Cyprus requested the bailout in June of last year, but negotiations broke down when former president Demetris Christofias, a Communist, criticized the austerity measures and privatization demands that were conditions of the deal. However, talks resumed following the Cypriot presidential elections last month, which saw Nicos Anastasiades of the right-wing Democratic Rally party defeat Christofias. Other aspects of the Cyprus bailout may require public austerity measures similar to those recently imposed on Greece, increased corporate tax rates and the privatization of state-owned industries. “It’s a huge shock to the Cypriot economy in terms of the purchasing power of the people. And one of the immediate consequences of this measure will be that recession, which is already quite severe in Cyprus, will become much worse in the coming months,” Editor in chief of Trends Magazine, Johan van Overtveldt, told RT.